1. Blend the coconut milk and sweetener until smooth. 2. 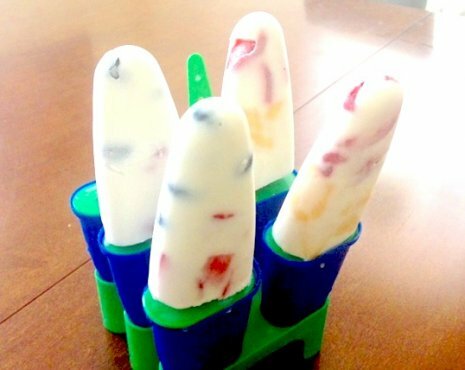 Fill popsicle molds with small pieces of fruit and chopped herbs leaving room for the ice cream to fill in. 3. Then carefully and slowly pour the sweetened coconut milk into your popsicle molds until they are full. 4. Set popsickle sticks into the center of each mold. 5. Place in the freezer overnight or until frozen solid. Take them out individually and enjoy immediately!